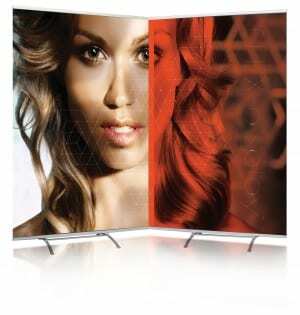 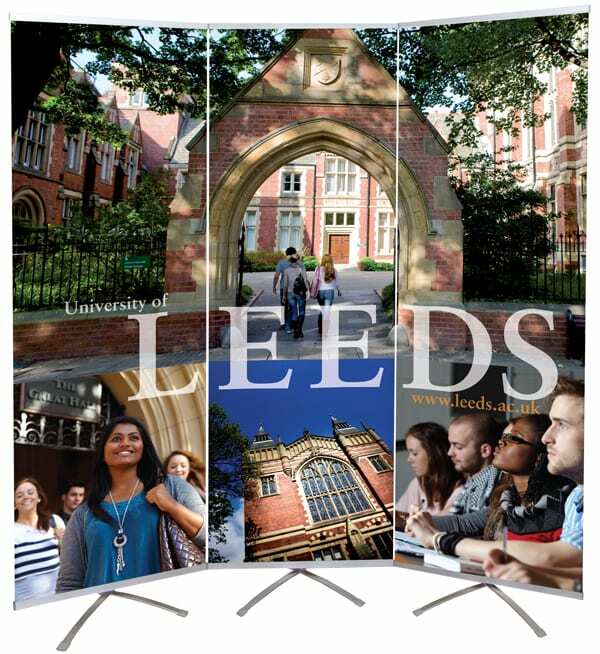 The Flex Display range of banners is highly adaptable allowing more use out of the same banners. 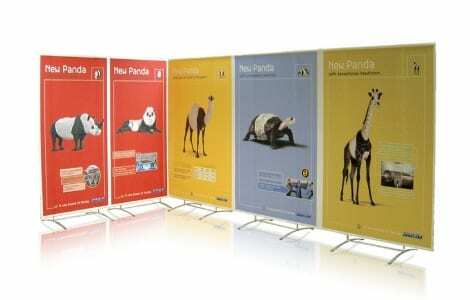 Using our connecting clips you can join easily join your banners together to create a larger impacting display when you have the space available. 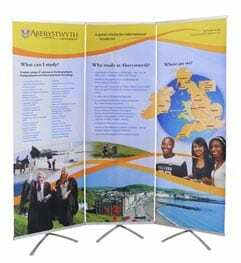 If there is less space to set up your display the display can be split up across the floor or simply use less of the banners stands!